How many school buses are in the picture? 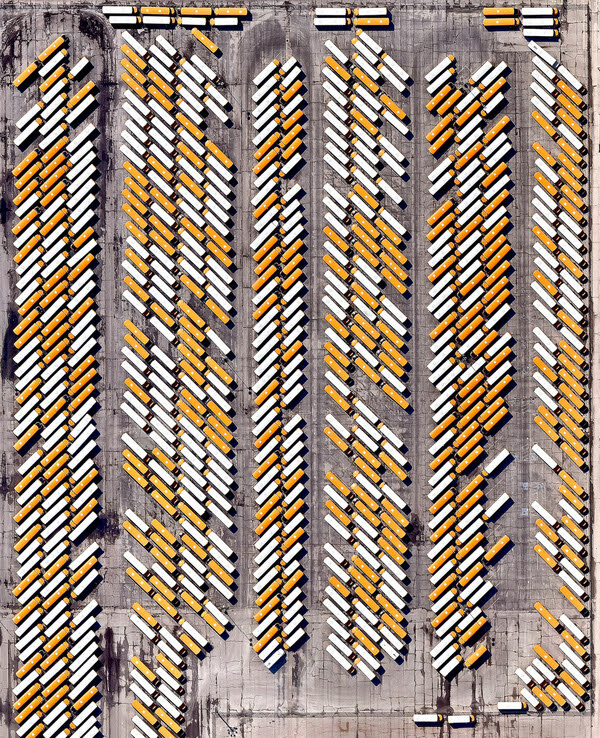 Hundreds of school buses are seen at an assembly plant in Tulsa, Oklahoma, USA. The standard American school bus is 45 feet (13.7 meters) long and has a seating capacity of up to 90 passengers. 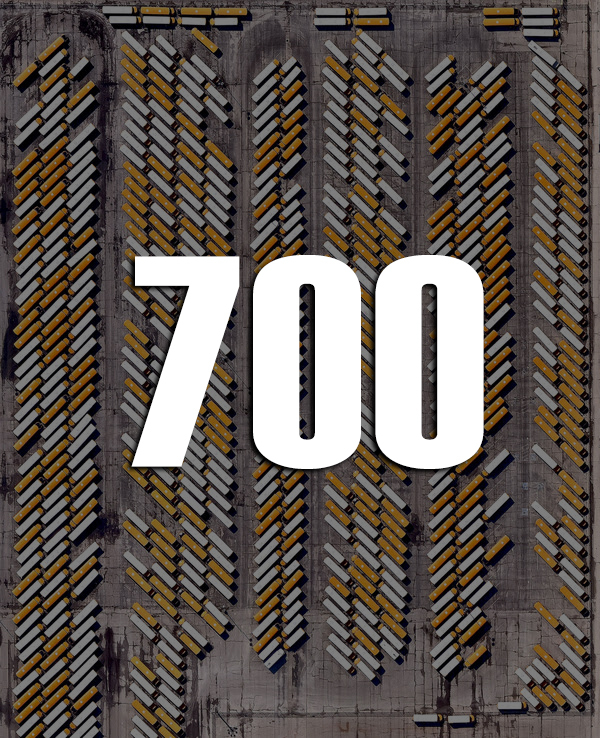 This particular facility manufactures 50 to 75 buses a day on average.